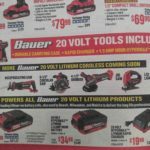 Not that long ago Harbor Freight debuted their newest 20V cordless tool brands including Bauer. The Bauer 20V tools represent a huge value but my problem with them at the time was that they only had 3 tools to start off with, so not much variety. 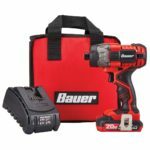 The back of the Bauer tools retail box showed that they had plenty more tools to come but as yet none of them had come out until now, as we now have one of those new Bauer 20V tools available with the Bauer 20V Compact Flashlight. I wasn’t excited when I first learned that the only new tool of the bunch was just a lowly flashlight. It’s hard to get excited over power tool flashlights because in the past they’ve been very basic with no frills and underwhelming. In most cases these flashlights seem to exist for the sole purpose to add “value” and raise the tool count on combo kits. 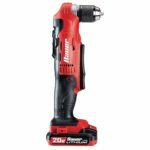 For example they might label a drill, impact driver, and light kit as a 3 tool combo kit. But I view it more as a 2 tool combo kit with a light thrown in. 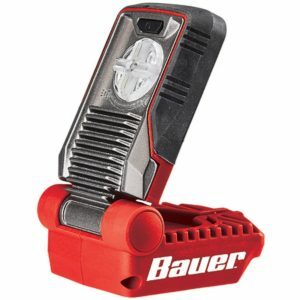 At first glance the price of the new Bauer 20V flashlight is $14.99 which is next to nothing and as such I wouldn’t expect much. That is until I looked at the specs, to start off it use LED lights, so it’s not a cheapo light bulb flashlight. The fact that it uses a LED as a source of light caught my attention. Then looking down the specs, I found that it puts out 300 lumens of light, that’s very interesting in my opinion. 300 lumens isn’t the brightest light out there by any means but is a good deal of light, especially for a $15 flashlight. You also have to realize that other brands starter cordless flashlights have a little over 100 lumens and are priced at more than double. Now you’re starting to get why the Bauer 20V light has peaked my interest. Not the brightest light out there but for $15 packs a bang for buck. Additional features of the Bauer 20V light include a multi-position pivoting head, hanging hook, and two light output modes with high and low. 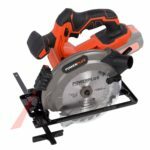 According to Harbor Freight, users may get up to 14.5 hours of runtime, I’m assuming with the Bauer 20V 3.0ah battery. Big thanks to Joshua B. for sharing this info with us!